string(1132) "Events > Videos > How to Mitigate the Risk of Child Labour in the Supply Chain"
Extreme poverty and lack of livelihood opportunities result in some families sending their children to work on cocoa farms. It is reported that some children are ‘sold’ to traffickers or farm owners, paying for a determined duration of labour. Children as young as 10 years then work for 12-14 hours a day with few breaks, insufficient water and nutrition, forced to carry heavy bags of cocoa beans across long distances, and with exposure to pesticides and other hazardous agricultural chemicals without adequate protection. Almost every child on a cocoa farm will display scars and wounds from swinging the heavy-bladed machetes used to crop the plants. To comply with international labour standards and norms, such as the ILO convention 138 on the Minimum Age for Employment and the ILO Convention 182 on the Worst Forms of Child Labour, multinational corporations need to ensure that their suppliers are not involved in human trafficking and/or forced labour of children and adults. Companies should further implement monitoring systems, transparent procurement policies, regular auditing activities and training of the supply chain managers on how to detect human trafficking/forced labour or any other irregular incidents. This discussion gives lessons learned and emerging practices to eliminate child labour within supply chains. 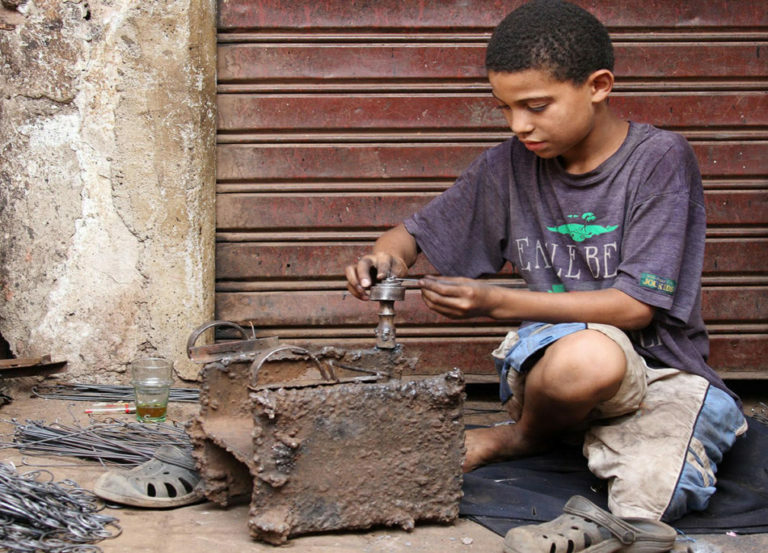 How has public policy impacted child labour practices? Can international labour standards and norms continued to be improved? How does culture and gender impact the practices of child labour? This webinar was the fourth of the RESPECT Webinar Series 2016 “The Private Sector Countering Human Trafficking”, looking at emerging issues surrounding human trafficking and promising anti-trafficking initiatives from the private sector. This series is hosted by the Global Initiative against Transnational Organized Crime and Babson College’s Initiative on Human Trafficking and Modern Slavery. Also supported by TraCCC, the Terrorism, Transnational Crime and Corruption Center at George Mason University. The panel featured expert speakers drawn from the private sector, academia and public policy.